Gentle plantation breezes caress the lazy warm days as you relax with the woven Monticello collection. Inspired by Thomas Jefferson's historic architectural masterpiece, Monticello's design is classically sophisticated and timeless - truly enlightened renaissance pieces that stand the test of time as both enduring and grand. Refined elegance and generous comfort characterized the line. 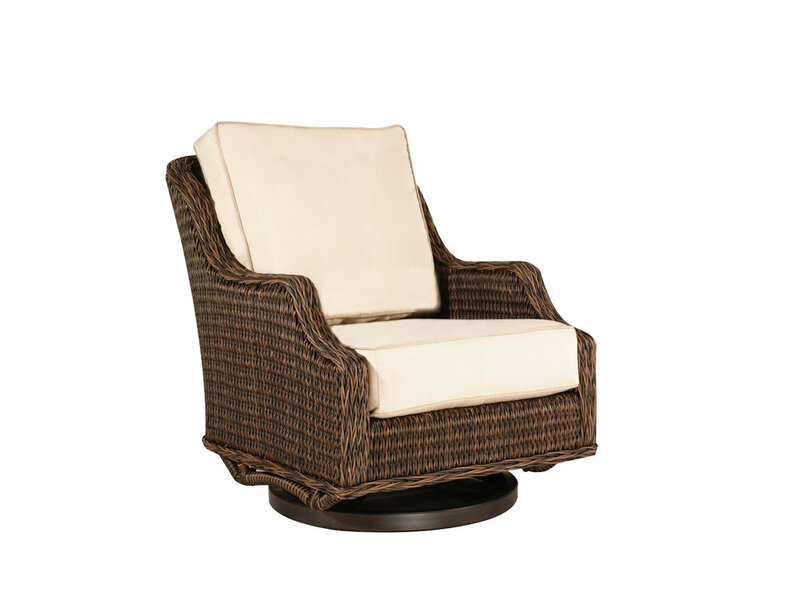 The lasting appeal of this intelligent design is cherished in the details and will add grace to any outdoor space. 31.8" x 40.2" x 36.2"
57" x 40.2" x 36.2"
82.3" x 40.2" x 36.2"
31.8" x 40.2" x 38.2"
25.2" x 22.8" x 11"
28.1" x 40.2" x 36.2"
54" x 40.2" x 36.2"
55.1" x 43" x 36.2"
42" x 42" x 11"
42.3" x 19.5" x 17.5"
19.5" x 27.6" x 36"
26" x 40.2" x 36.2"
66" x 29" x 36.2"
28.8" x 58.8" x 27.5"
24" x 18.5" x 46.5"
40.2" x 40.2" x 36.2"